"Liza Ferschtman plays with astonishing command, accuracy and firepower (there really isn't a flaw anywhere) ... brings plenty of fiery passion to one lyrical passage after another ... Venzago and the orchestra deliver deft, immaculate, one-size-fits-all performances ..."
"... a fine recording ... it is for (Ferschtman’s) playing that you will want this ... she doesn’t disappoint. Tender phrasing and drama both intensely quiet and lyrical as well as in full flight are all features of a fine performance. These are excellent players ... I’ve been happy to make its acquaintance ... rich in superb individual qualities as it is." 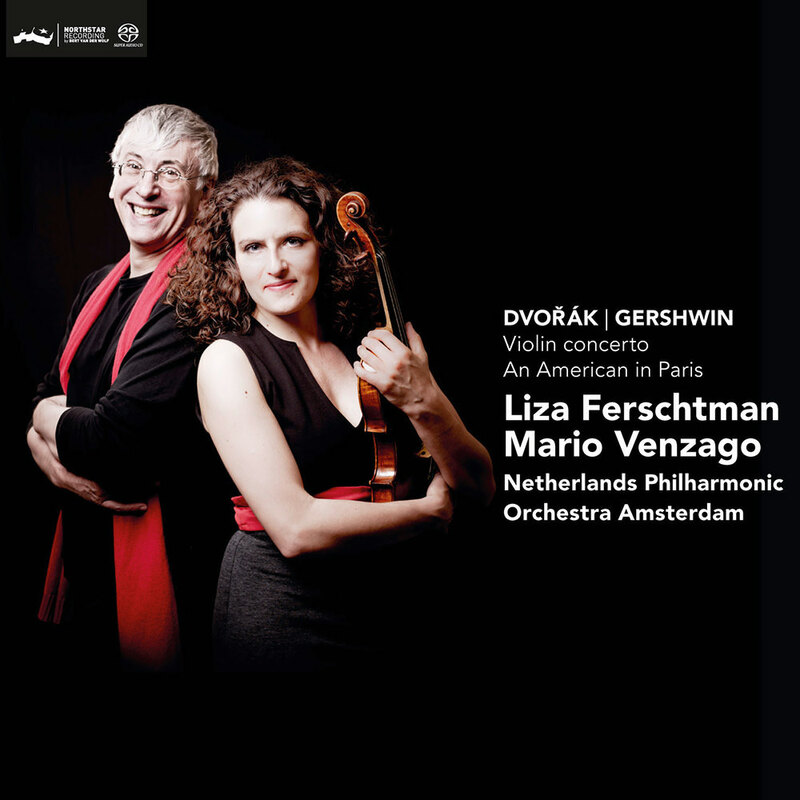 Liza Ferschtman presents a beautiful, passionate rendition of Dvořák's intriguing Violin concerto together with the Netherlands Philharmonic Orchestra and conductor Mario Venzago on this release. The interesting programme also includes An American in Paris, a symphonic poem, or perhaps better termed a free rhapsody for an expanded orchestra. Although Gershwin had not meant it as programme music and certainly not as an autobiographical work, it clearly shows features of both.